I don’t always enter giveaways on Instagram since I don’t want my feed to be swamped with reposts, but every once in a while there’s one so gorgeous that I just can’t help but enter. A couple weeks ago, I reposted, tagged, and followed @fabricshoppejody in the hopes of winning this lovely Carried Away bundle. And I actually won! 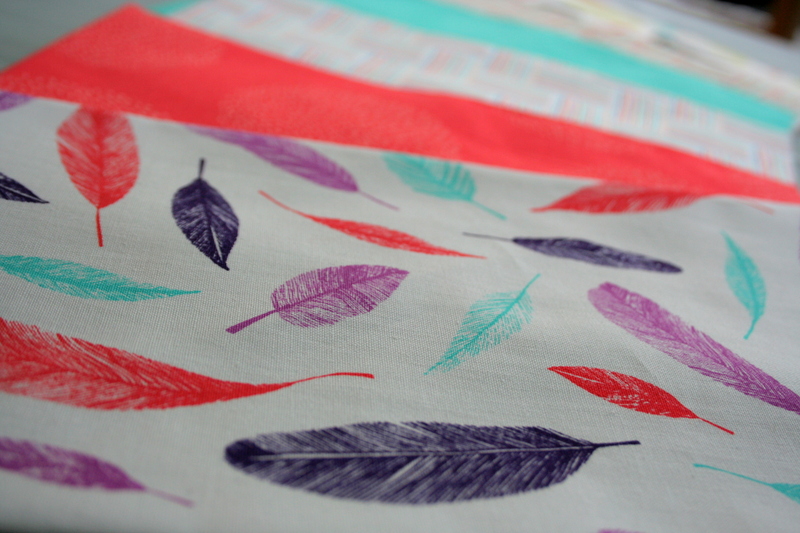 Carried Away was designed by Zoe Ingram for Robert Kaufman Fabrics and features some of my favorite colors, not to mention feathers! 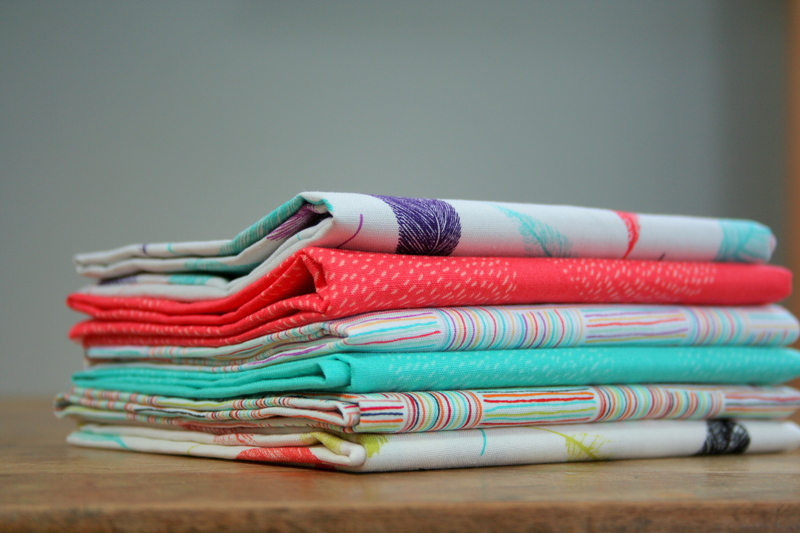 Thus, my fabric stash grew a little bit last week when the lovely bundle arrived in the mail. 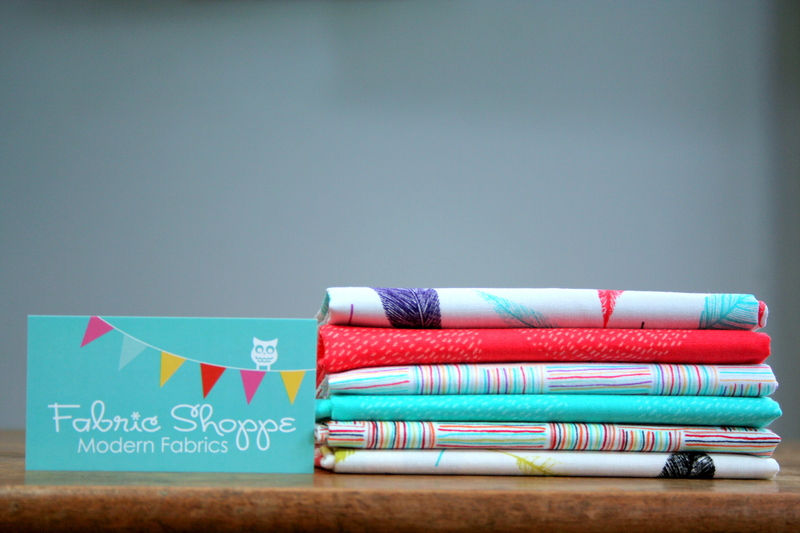 Thank you so much to Jody from the Fabric Shoppe for this awesome giveaway, and for adding the very first feather fabric to my stash–I know, hard to believe I haven’t bought any feather fabric yet! This weekend, we finally had a somewhat sunny day on which I attempted to capture its beauty. Of course I had my usual helpers around, and my son wanted to be in the thick of the action more than usual. 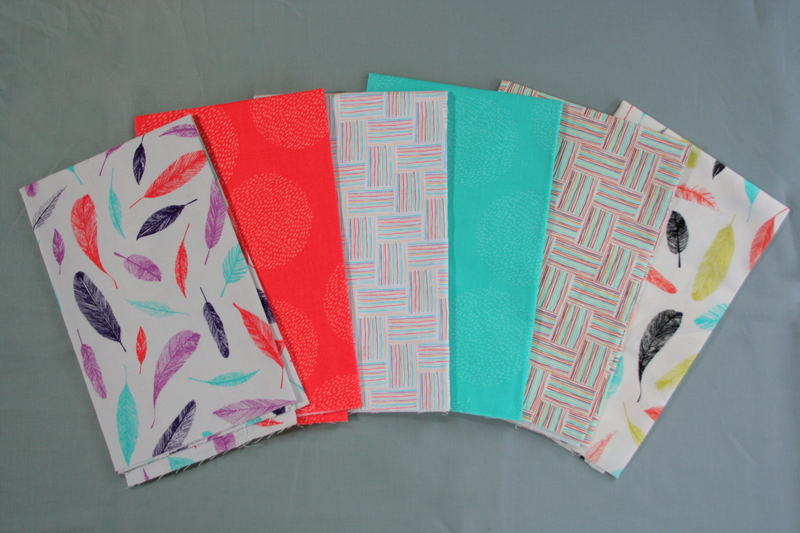 I just love the feather prints and I’m trying to decide what to make out of this bundle. I’m dreaming of finally attempting a Sew Together Bag, but I’m also terrified. Four zippers?! How many pockets?! A BAG!? 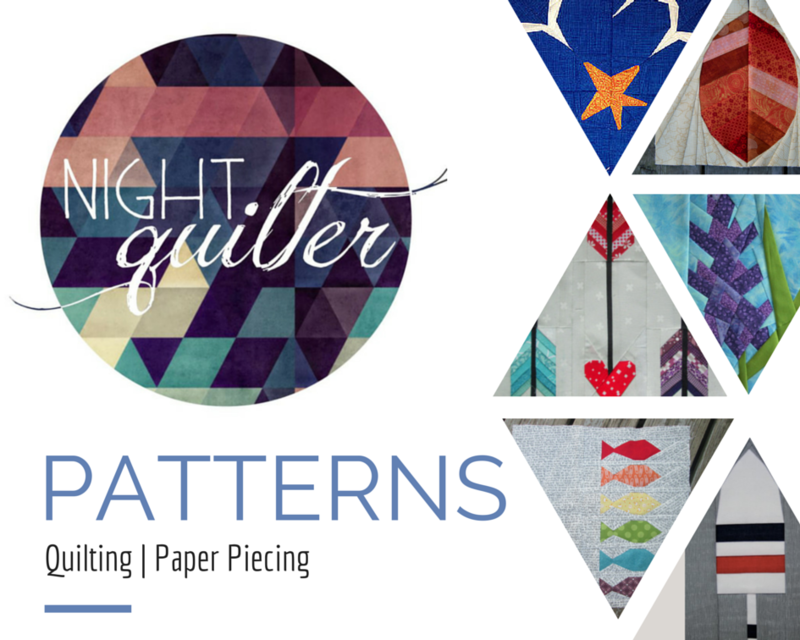 I’ve only really attempted quilts and one extremely basic, somewhat flimsy shoulder bag. We shall see. Either way, I’m super excited to add this bundle to my slowly growing stash. What would you make with this bundle? 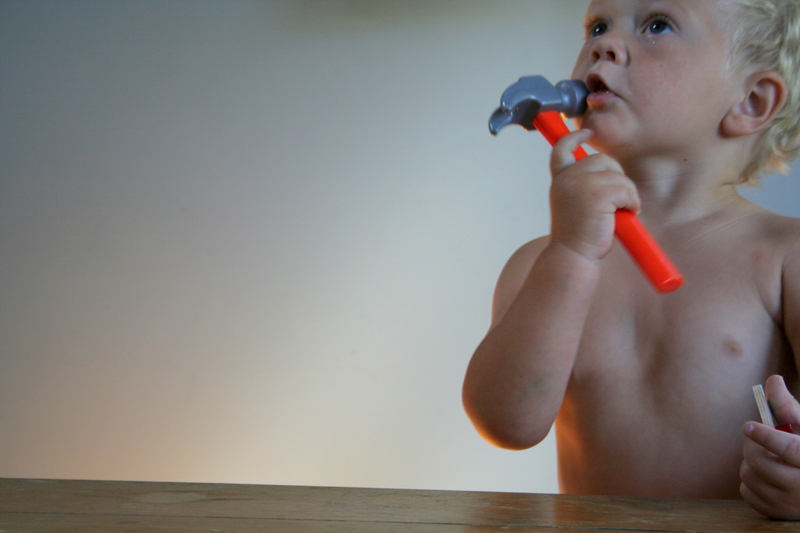 I’ll leave you with one last photo of my little helper, since he’s awfully cute. Then again, I’m biased. Congratulations! You have a very cute helper. And good luck with the bag – I am also terrified of zippers! Eek! 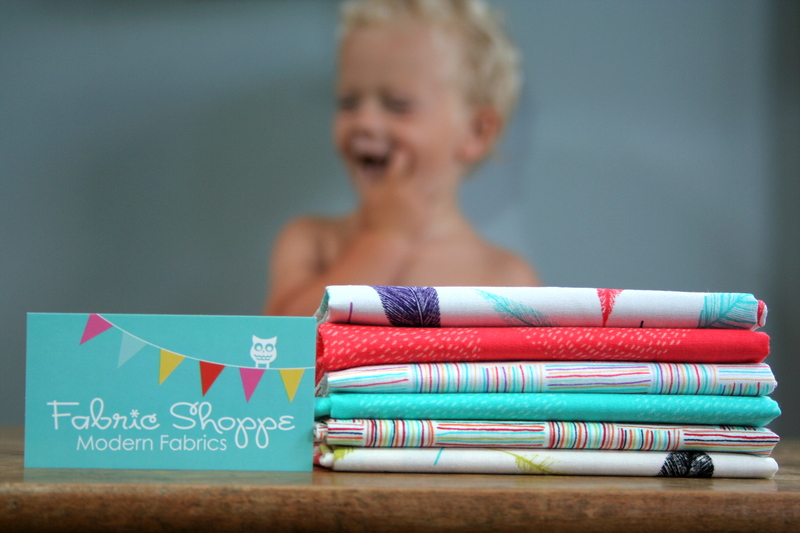 Gorgeous fabric and an even cuter child! Bags aren’t that difficult and zippers are fine – just go step by step. That would be gorgeous! Your son is certainly a cutie! What a sweet little helper. 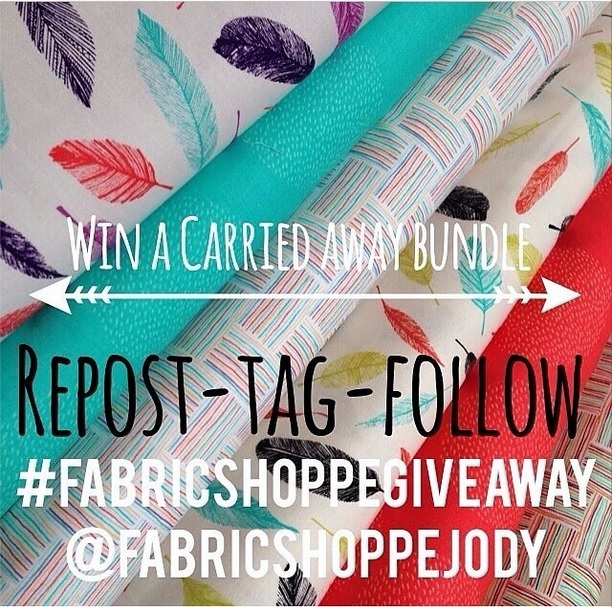 Love the fabric – winning giveaways is so much fun! Lucky you! Can’t wait to see what you make with them. Biased or no, he’s still a cute kid. I haven’t made the sew together bag yet but I have my plans…and I think your new bundle would make a great bag. I’ve heard folks mention breaking needles on the sew together bag, so I’m going to use a strong needle (maybe size 16)!